Product Details- Suitable - All Hair Breeds Dogs, Capacity-3.8 Ltr. 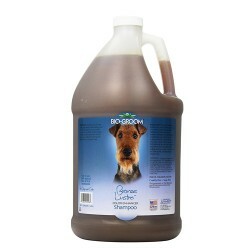 Product Information-Bio-GroomTM Bronze Lustre(R) Color Enhancing Dog Shampoo. 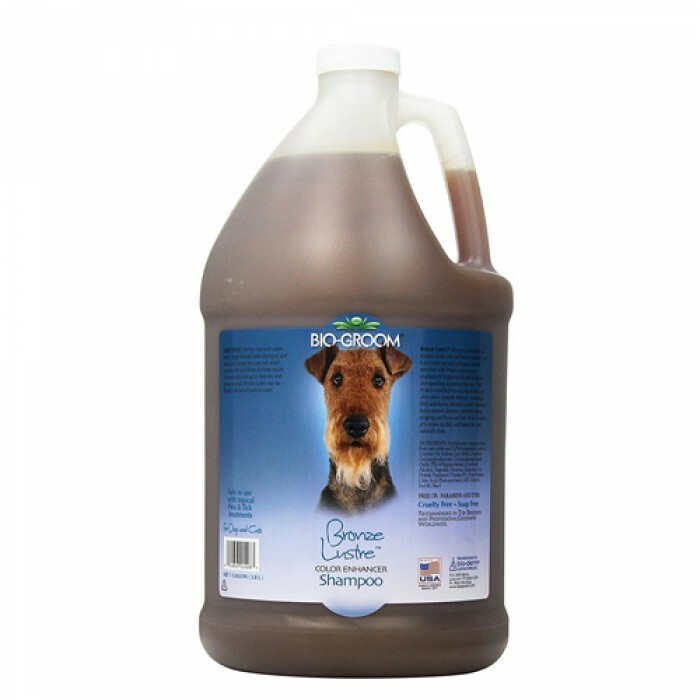 The Bio-GroomTM Bronze Lustre(R) shampoo formula intensifies all shades of brown while thoroughly and gently cleaning and conditioning the coat. Special pearlescent brighteners give the hair a lustrous sheen with sparkling accents! This coconut oil base formula fortified with Protein gives life and body to the coat. It s rich lather rinses out easily and leaves hair clean fresh and easy to manage. Features- Neutral pH . Tearless . Coconut oil base . Adds life and body to hair Item Specifications Size-12 oz 1 Gallon Dilutes 4-1.